Internet marketing solutions are becoming more and more important as each month and year pass. It is no longer ok to sit on the sidelines and wait. Weither you are just starting or even a seasoned marketer, the free eBooks below will provide you or your team useful information. A complete internet marketing solution includes hundreds if not thousands of components and moving parts. We as marketers must never feel that we understand them all. Use and share the information below as needed. If you would like to discuss partnering with an experienced team that can help your business apply some of these internet marketing solutions, we are available. A fresh, high level view of internet marketing solutions that focus on "top of the funnel" activities and results like attracting initial traffic, converting traffic into leads. This ebook, like all of our eBooks are very detailed and present this material in a step by step approach. 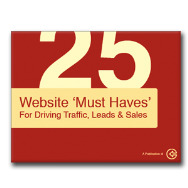 You can approach your internet marketing solutions as a blueprint. In this eBook, you will learn more about the sections of your blueprints that help attract new visitors through multiple marketing channels and then convert the qualified visitors into leads or prospects. 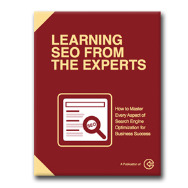 Learn how the industry experts approach SEO. Complete internet marketing solutions must include both on-page SEO and off-page SEO. Both of these applications are key to making your most important web pages search engine friendly. That is what SEO really is. You or your team must be sure that all the primary elements of any web page contains those elements that the major search engines use to help rank your site when searchers are using a targeted keyword. 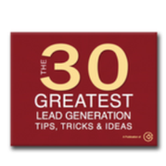 This is a fantastic eBook with a ton of lead generation tips and techniques. Any successful internet marketing solution needs a formula and system specifically developed for lead generation. Depending on your business, you have a sales cycle and sales funnel that has multiple stages. Some products and services only need a few stages in their sales cycle but many organizations need to carefully move qualified leads from stage one (initial website visit) to stage 21 (having a happy customer share their great experiences on social media platforms). This eBook will provide very useful and valuable information on how to make lead generation an effective stage as part of your internet marketing solutions. You have probably heard the term "analytics" a few hundred times by now. There is a good reason that analytics is often mentioned when discussing internet marketing solutions. A wise man once said "If You Can't Measure It, You Can't Manage It". This is very true. In order to improve your ROI (return on investment), you MUST have the ability to measure every important component of your internet marketing strategy. This eBook will open your eyes to many different approaches to website analysis and walk you step by step through many of the critical elements of this process. This eBook illustrates what is happening in the real world of digital marketing. We have compiled real time data and statistics from thousands of customers. 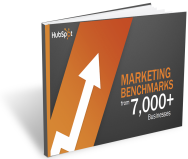 These statistics will show you how all of these revolutionary inbound marketing elements have effected their business. This eBook was developed to help you get a better picture of what is possible. The facts speak for themselves. Marketing data clearly shows that blog marketing is a critical piece of the inbound marketing methodology and directly correlates to better business results. 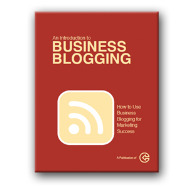 In this ebook, we walk you step-by-step through the blogging fundamentals and show you how to start reaping the benefits of this marketing channel. This simple but powerful website traffic calculator will allow you to get a better overview of your high level inbound marketing goals. This website traffic estimator will calculate (based on monthly revenue goals) the website traffic you will need, the visitor to lead conversion rate and the lead to customer rate. Just like your primary web pages, your landing pages need to be optimized for both search engines and lead conversion. 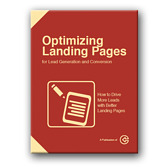 This free eBook will show you in detail how to approach optimizing and promoting new landing pages. Any successful landing page needs to include all workflow elements like SEO, promotion, lead generation and lead nurturing. Social media remains a real challenge for many marketers, marketing departments and marketing teams. Web page optimization has long been a favorite strategy for increasing website traffic and leads yet social media like Twitter, Facebook and LinkedIn still remains somewhat of a mystery. 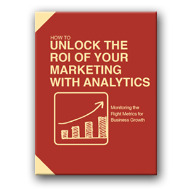 This in depth eBook will shed light on strategy development and implementation. It will also help you with testing, analysis and strategy modification to achieve better results all the time. 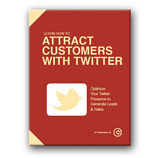 This is a very comprehensive eBook and will absolutely help your understanding and application of Twitter and social media in general. Email marketing may sound like an obvious channel of online marketing, and it is. However, not all organizations understand the best practices of email marketing and many times could be doing more harm than good. Email marketing has evolved over the years and has become a strategic element that should be a supporting part of your overall inbound marketing strategy. 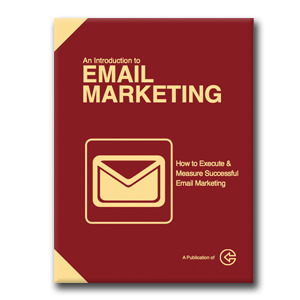 This eBook was developed to teach best practices and help the reader be sure they are getting the most productivity possible from their email marketing efforts. Effective marketers, should be able to tie every single lead, customer and dollar back to the marketing initiative that created them. This is how marketers can prove their worth, and understand how to more efficiently reach their audience. 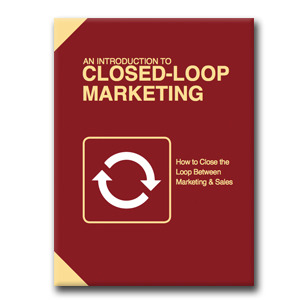 This eBook will guide you through every step needed to create your closed loop marketing system.